How Do I Get a CPR Certificate Renewal? CPR renewal is obtained by completing another training course either in person or online. 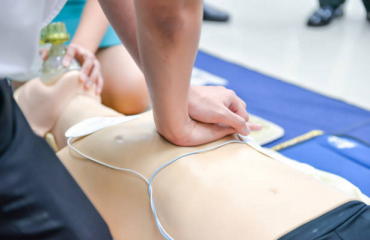 Your employer may pay for your training if CPR knowledge is required by your job. For example, lifeguards may have their training covered and renewal courses provided at their pool. Some employers will also maintain your records of expiration so they can make sure you have the training when you need it. Regardless of whether you need CPR certification for work or you wish to have it for personal reasons, it’s important to stay on top of your CRP card renewal to make sure you’re up to date on the proper certification. It’s also critical to maintain your knowledge so that you’re always ready to perform CPR if you witness a cardiac arrest emergency. Never assume that you’re set for life just because you had CPR training once before. Maintaining your CPR certification status is just one of the way to stay on top of your medical training and awareness so that you are prepared to save lives in any situation. Top up your training with basic first aid, AED training, or bloodborne pathogen certification to ensure that you’re prepared in any event where medical attention is required.